Certified Independent Subaru Repair Phoenix – Rated Best Service! We are your #1 choice for expert Subaru Repair Phoenix, providing repair and maintenance services to keep your Subaru reliable and safe. The ToyoMotors team is trained and certified to Master status for all of your Subaru service and repair needs, serving North Phoenix, Scottsdale, Glendale, Anthem and Cave Creek areas for over 35 years. 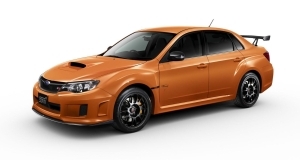 We are one of the few Independent Subaru Repair Phoenix Service Centers that has been granted access to Subaru Technical Information System (STIS), which fully computerizes our facility with the latest updates and information straight from Subaru. Whether your Subaru is new or has a few hundred thousand miles on it, our experts will keep it running smoothly and efficiently for years to come. If you live in North Phoenix, we are conveniently located two blocks East of the old Steven Jory Subaru dealership location. Along with being Subaru repair Phoenix specialists, our staff has over 100 years combined experience. Over the years we have worked for several vehicle manufacturers, so in addition to manufacturers’ training we receive ongoing training through several aftermarket organizations. All of this enables us to be proficient on most of the vehicle makes and models on the road today.